PEMBERTON TWP., N.J. -- Authorities have charged a woman with killing her newborn daughter by setting the baby on fire in the middle of a road in Burlington County, New Jersey. 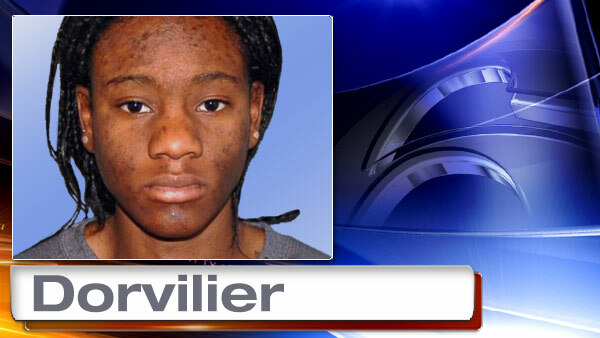 Hyphernkemberly Dorvilier, 22, of Pemberton Township, is charged with one count of murder. She is being held on $500,000 bail. Officers were called to the unit block of Simontown Road around 11:00 p.m. Friday. Dave Joseph and his family made the discovery. They say they had no idea what was on fire outside of their home but saw Dorvilier standing in front of an SUV, behind the fire. She allegedly told Joseph that she was burning dog waste she found in her SUV. He told her to put it out. "She grabbed a bottle of water, poured it on there, my wife was down there and said it was a baby," said Joseph. Horrified, Joseph and his wife called 911 and held Dorvilier until police arrived and she was taken into custody. The baby was transferred to St. Christopher's Hospital for Children where she later died. "It was a bad scene. And for a mother to do that its mind boggling. How anybody could do that to a baby? To a newborn?" said Joseph. Investigators believe Dorvilier doused the newborn with accelerant then set her on fire. On Saturday, neighbors felt compelled to stop by the scene. Many of them are parents themselves. "That baby didn't even have a chance to experience life," said Robert Cannon. "I have five grand kids. To see them this morning, I gave them all a hug," said Vaon Warren. Authorities say an autopsy will be performed by the Burlington County Medical Examiner. The circumstances surrounding the child's birth are also under investigation.